Any Suggestions for better discussions on CrazyEngineers? 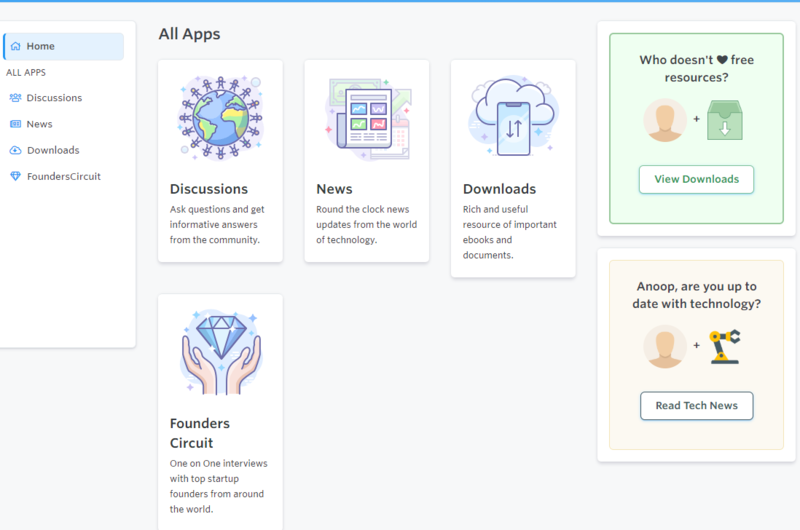 While our goal is to help as many engineers, we also want to maintain the overall quality of discussions that happen through CrazyEngineers Discussions app. Possible fix could be to have a separate place on CE where all project related discussions can happen. Could you share any ideas on how can we make discussions on CE much better and enjoyable for majority of our visitors? All project queries can be moved to the topic “examinations”, while career queries are likewise shifted to “careers and jobs” category. Downside is that it may leave a blank page on discussions! If each one of the senior CEans starts at least one serious/interesting discussion a week or fortnight things might look different. I would start from my "back to square point". I think landing page should much more information to engage old users as well as new users. I as new user land on any discussion thread to look for the post. When s/he done with thread they look for another interesting thing to see. As there is basically no thread information in sidebars. I click on home page, I see following page. It's basically nothing. Looks like a dummy website. As a regular user too I some times to to home page and look into that. Why I am stressing on this: Core of discussion forum is the content not the good looks. If you observe the xBhp, Team-Bhp, India-Mike, Xda-Developers. the design is age old. But one thing is common, on any page you have tons of date to process. On main page of Forum I can quickly see the latest post preview. If we go to social media design, there we can find infinite scroll to to go next post. In summary, when a new user lands from a search page, which is case for most of us, user expect to see tons of related stuffs going one level up. This engages the user. I believe the current surge in searching and landing to CE bases on "Project Queries" happening because, these user don't engage in other discussions. They just create the account to get free project stuffs and don't come back. CE need to hold the these users. These are the use who get nurtured participating in different topics. If I am not wrong many people land here because of "Debate Mastermind", "Gadgets" and "Enginnering threads". Well, I don't know if the Debate Mastermind or Gadgets things brings back the users. But CE is still single place to discuss engineering topic. Specially in-college students. I think regrouping the topics is required as Ramani sir suggested. I don't see having more number of groups would hurt the forum. I would suggest to add related topics, at end of the thread. Very important and interesting points, @Anoop . Thanks. I've made a note of all the points for our next big update. 1. There must not be a compulsion to log in to browse the site. It does not feel right. 2. I don't understand why we have to necessarily log-in with google or linkedin etc. Why was the old login system removed? Maybe some people like to login via social media but I prefer a seperate account on a useful site. 3. The front page should be content rich and users should get a glimpse of the content on the home page itself. 4. Coming to discussions, I would suggest we start discussing on topics of large public interest but related to engineering at the same time. For example: The tube light is a really simple electric appliance but I have hardly come across anyone who could describe its working. we can pick simple topics like that. 5. Lastly, I think we should more agressively promote content via e-mail, social media etc. Can we have a guided tour? I see in few websites that a tour will help the users in understanding what they are going to experience. We do that in our products at office a small tour so that clients get to know. How that works here? I logged in for the first time - Small box highlighting the discussions icon mentioning what that offers to people. That small text can also include the number of discussions. Next it takes to news or the other sections tab on the right side of the page. If user goes into discussions, he see a new post there , we start one tour again but only one sentence saying if you have questions post. If a user clicks on new post, then what all he can do in the new post can be a tour. What is being missed, in old forum we have a section called new posts, which just tells me what all new threads are made. And also it gives me list of all the threads where there are updates after I last left a message. Since notifications will only come if someone mentions my name / likes my post but not if someone posts a reply. So these things will help and engage! @saandeep - thank you for your feedback. We're taking notes for possible changes required to the system. I dont know if its possible but can we divide discussions further where we can subscribe lets say i am interested in technology i select that and i will get notifications from that section irrespespective if i was mentioned or not? @saandeep - We're still figuring out the approach to take. For the new Discussions App, which imported all the content from old CE; we were extremely focused on simplifying everything that confused all the visitors. You may see that new members do not correctly put correct categories to the discussions and we've to manually change them. The more we think about it - we believe that 'Groups' app is the key to all these problems. That way - people interested in specific topic can either create a group for it or join an existing one. They'll have the option of receiving notifications for posts/discussions started in that group. We're still working on it; because we must also integrate the feedback we've received about the layout of the site . No issues we can write a text mining code and assign the post to the category. I can do that.